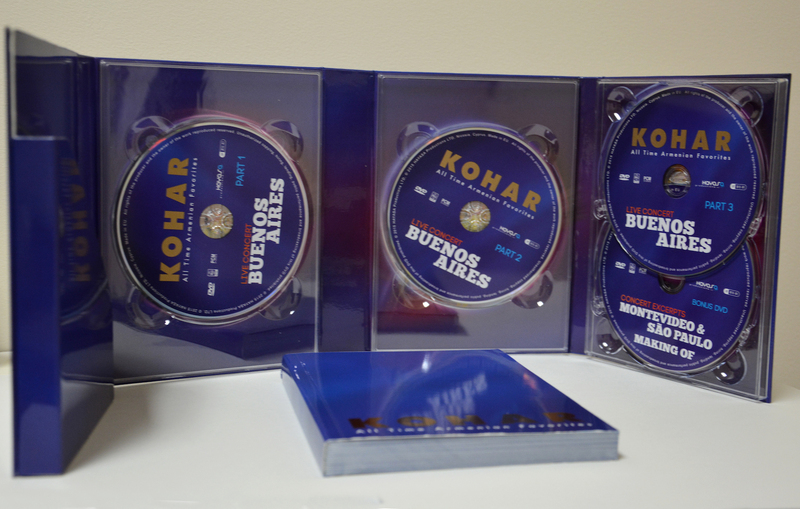 Kohar: All Time Armenian Favorites, Part 4 is a mammoth compilation of concerts performed in South America—the latest in the ensemble’s recordings of its international series. The Gyumri-based Kohar Symphony Orchestra and Choir presents innovative interpretations of the most popular songs in the Armenian musical repertoire—including classics like Giligia, Sari Hovim Mernem, Hingalla, Choutag and others. Established in 1997, the Kohar Symphony Orchestra and Choir involves more than 150 musicians, 11 solo singers, and a 15-member dance ensemble. Their artistry will stir the heart of any lover of Armenian music, with stunning musical performances and visually opulent costumes, staging, and effects. This 4-DVD set comes in a beautiful slipcase, with a 250-page color booklet detailing the ensemble, the artists, and the music itself. 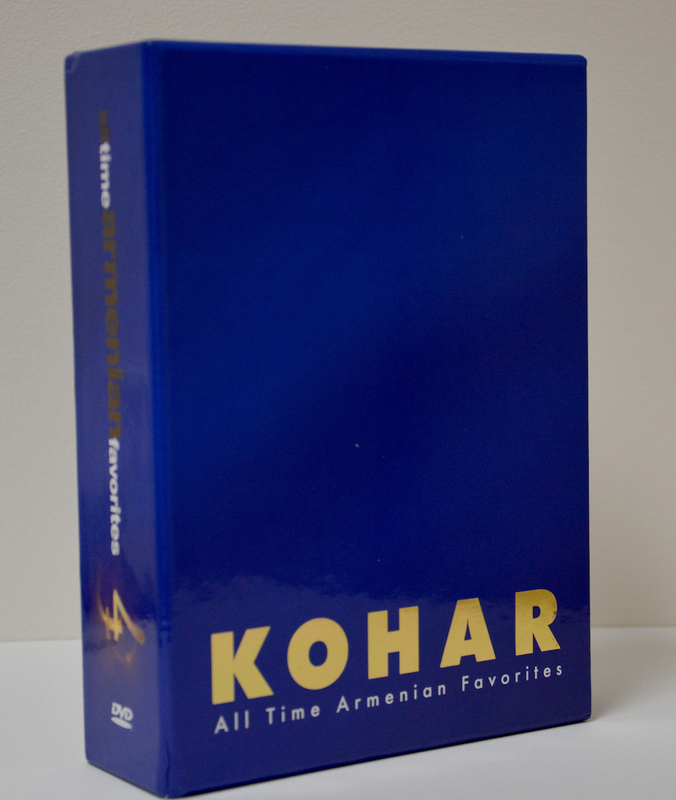 Viewers will experience over six and a half hours of music and pageantry—as only the Kohar Symphony can deliver.